Time and motivation are two of the biggest roadblocks that prevent my clients from getting to a gym on the regular. There seems to be this conception that fitness can only happen in the confines of a big box gym which is completely untrue. A well rounded fitness practice is doable in a spare room, garage or a corner of your bedroom. It doesn’t have to be complicated or take up a lot of space. 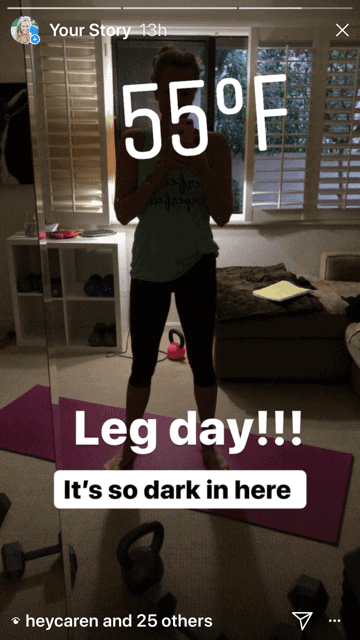 Piyo Home Workout – no equipment required! My own home gym consists of just a few core pieces, and while I do have a gym membership, I rarely go because to be honest, I don’t love the atmosphere of gyms. I find there’s generally always someone there doing something ridiculous that spoils the vibe, and getting to and from often takes too much time. So here’s my basic equipment list for a simple at-home gym. I’ve also included an upper body workout that can be done with everything you see here. If you like that workout, I’ve got a lower body/glute routine I’m happy to share, so just send me a quick email and I’ll shoot it over to you. Click here to download the Quick Upper Body Workout you can do from home. 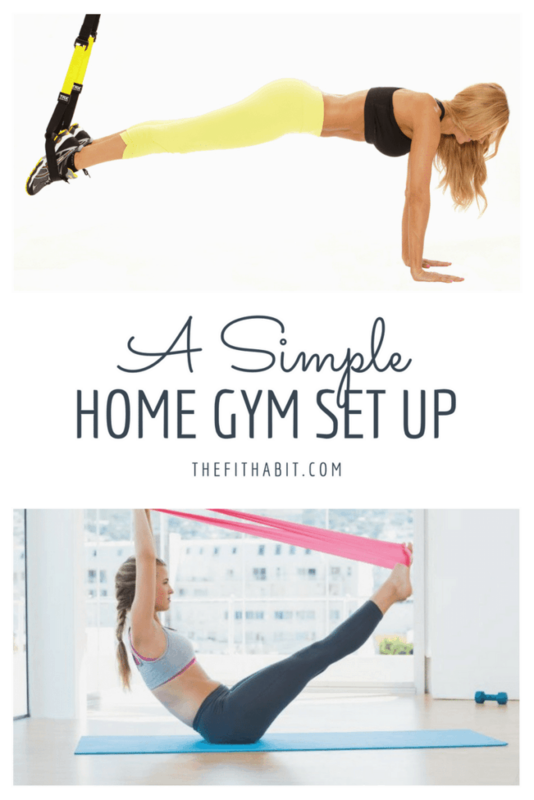 Question for you – Are you a die-hard gym goer, or can you workout at home? I didn’t think I would be able to do the at-home gym thing, but it’s actually helped me be more consistant with my workouts. I just wish I had more natural light in my spare room! 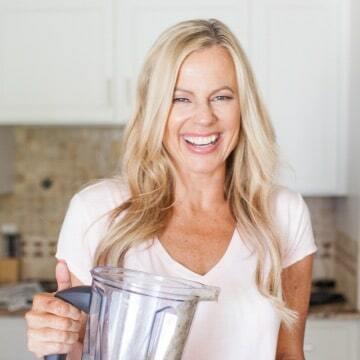 Caren is a certified yoga teacher, fitness instructor and author of The Fit Habit. 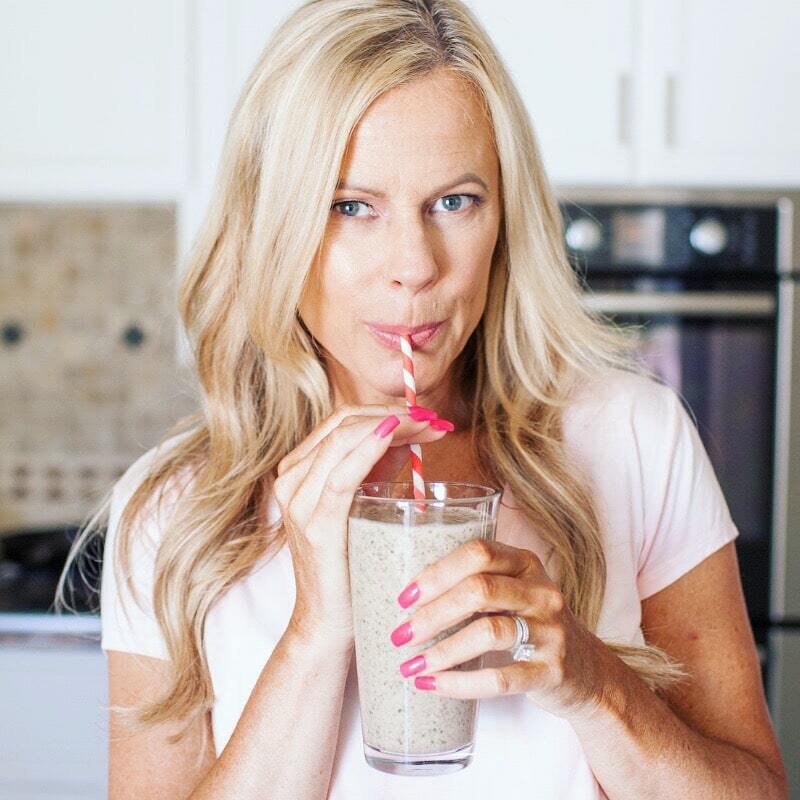 Here she shares simple, healthy recipes, home workout ideas and practical ways to foster mind + body wellness. Previous Post: « Fitness Purist or Dabbler? Why you should cheat on your exercise. I always find it hard motivating myself to go to the gym. So will definitely be giving at home gym a try. Hey Alexandra, it’s great for those days when you don’t have much time. you really don’t need much. I’ve tried working out at home, but I find that I have a much more effective and efficient workout when I’m at the gym. The problem is I just have to get there. The motivation is lacking, especially since I used to be on a team and now trying to go to the gym solo is very hard! But I keep trying – and I’m taking the babiest of steps, but that’s better than no steps at all! Something is always better than nothing, Larissa. It’s good to have a few workouts you can do at home for those days when you just can’t get out. I’m sooo glad I saw this. I was just trying to figure out how to keep exercising because we moved from our apt where I had a gym!! thank you so much! What do you use the sliders for? Marisa, sliders are great for lower and upper body workouts. Beachbody has a few workouts that use them (Piyo), but you could probably find workouts on youtube as well. They are AWESOME for the core! I have most of these, but totally need to invest in some sliders. Working out with those really does wonders!! THey ROCK. I love me some sliders and they’re a great tool for travel workouts. I love dumbbells and using them while on a balance ball! I should probably look into sliders! I love using dumbells on a balance ball as well. Great core work!